This firm is proficient in integrating both design and construction processes. Established in 1980, 38 years in the Build & Design industry, Meng Design & Build have come a long way with more than 25,000 successful residential and commercial projects completed. 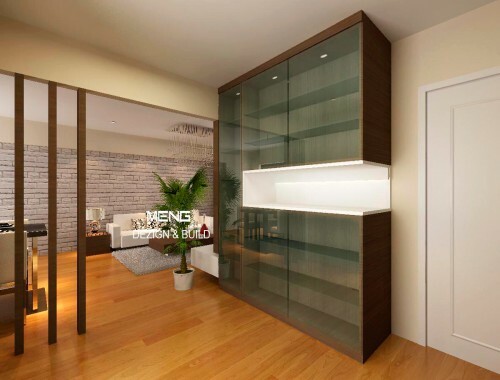 At Meng Design & Build, we create your home with undue passion and commitment. Our creative team of professional designers ignites new ideas and design for all styles of interior design for astute homeowners. Our designers bring forth the dream home in your mind into reality. With great care and commitment in every step we take to fulfil your requirements. Covering all angles of thoughts into ingenious use of space, colour, style and ambience into the making your dream home a masterpiece of its own. Our team of friendly and experience sales representatives will guide you through each step of creating your dream home. Our mission serves to constantly strive in the provision of the best quality products and services in building the dream homes for our valuable customers. Meng Design & Build achieved ISO certification in 1998. Well structure and organized work processes with high stringent quality control helps us to realize the dream of our homeowners beyond their expectations.